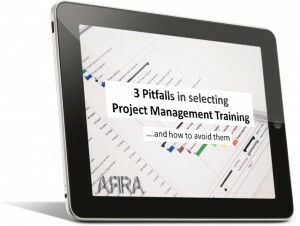 Are you struggling to select the right project management training programme for your organisation? With so many options to choose from it can be difficult to select the right training programme. Well that’s where I can help. What qualifies me to be able to help you? 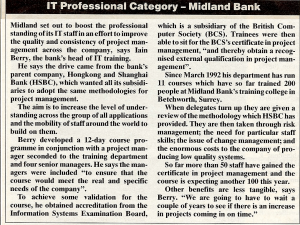 Back in the early 1990’s I was asked by the Group Systems IT Director of Midland Bank to write the case study for a 12 day intensive project management course. Midland had identified IT project delivery as a critical success factor and improving their project management capability was key to delivering against that. But they went further than just saying we need some training. They recognised that all IT projects had a development component, an IT operations component for ongoing running of the system, and a business component for defining the systems requirements, testing the delivered solution and then implementing it. So Midland’s training had to bring together all those parties to learn about successful project delivery. No one party could succeed without the other. Next they identified what needed to be covered from both a technical project management perspective (planning, risk management etc. etc. ), from an organisational governance and control perspective (steering committee structures, approvals processes etc), and from a people perspective (leadership, team building, managing conflict, negotiation etc). Then they addressed how to make it real. And that is where my case study came in. The case study ran for 9 evenings and was a project in itself. They had to prepare reports, present to steering committees and generally win over stakeholders. It was the practical application of the theory sessions. Now they considered how to source the course. There was nothing in the market that addressed the need. No training provider had thought through the requirement in that detail. So they built it themselves (with my help). To ensure they had covered all the bases, they reviewed the course against external benchmarks, including a new qualification from the Information Systems Examination Board. It ticked all the boxes and more. The course won the Computer Weekly/National Computing Centre award for professional training and was accredited to the Information Systems Examination Board’s newly launched Certificate in Project Management. 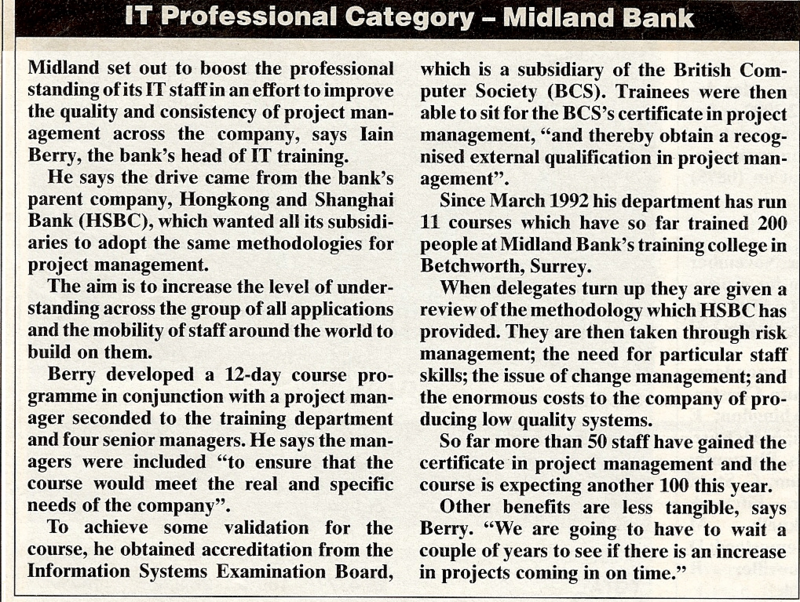 Over the two years I was involved in developing and delivering the course, Midland Bank had more ISEB Certified project managers than the rest of the country put together. Since 2003, as an independent project management consultant I have continued to train and coach project managers through workshops and 1:1 coaching of client staff. I have adopted and adapted the Midland approach to support clients in meeting their training needs. A 12 day course like the Midland course is neither practical nor necessary in today’s business climate. By using innovative simulation technology and supporting classroom training with online learning the core technical and interpersonal competencies required by today’s project managers can be taught in much shorter timescales. Why continue to struggle? Sign up for my 3-part video course today. It’s completely free. 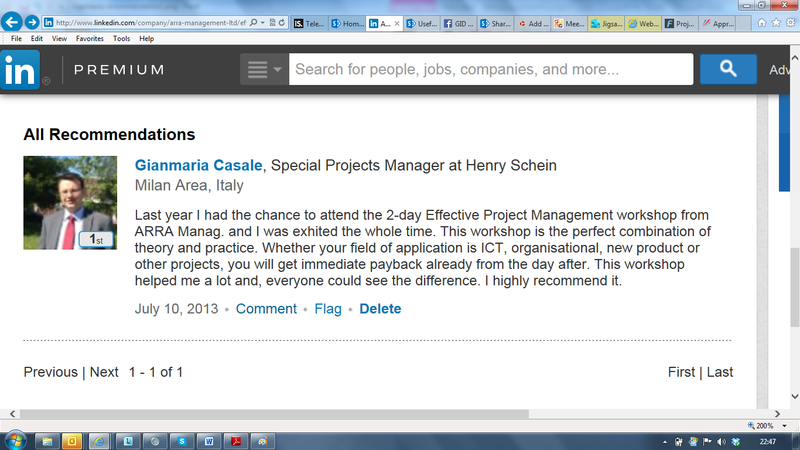 Let’s get started on improving project delivery in your organisation.